Everyone is talking about Telegram. It is a relatively new messenger app that is considered to be a rival of WhatsApp. But the best feature of Telegram is that messages are secured and encrypted. This feature makes Telegram the best app for businesses to communicate with their followers. Recently, it’s become more common for businesses to use messengers to text their clients. It’s cheaper than sending an SMS or calling a person, and also creates a sense of belonging to a certain community. But besides convenience, entrepreneurs have to worry about the security of the private information. That is why it is essential to choose a messenger app that will provide security to all your conversation. And Telegram so far is the best option to do that. Thanks to its flexibility and great features for communication, Telegram has gained more than 200 million active users since the beginning of 2018. Users send over 15 billion messages using Telegram every day, and the most interesting part is that the app developers haven’t spent a single cent on advertising. All of these factors make Telegram a very unusual tool to use for business. But it has a lot of features that will fit any business perfectly. Telegram offers all users to create a channel to communicate with other users instead of messaging each user separately. Besides, due to the absence of advertisements, it’s easier to build brand awareness, as there’s basically no competition. – Data security: Telegram is a cloud-based app, so you can use it from various devices. – Fast delivery: Telegram is the fastest messenger app to use. – Completely free: besides the absence of the advertisements, there are also no subscription fees and other in-app payments. – Unlimited storage: unlike other messenger apps, Telegram has no limits when it comes to chats and media sent in the messages. – Timer feature: if you want some messages to get deleted after a certain period of time, Telegram offers a timer option. – No limits on file types: you can change any file with the help of Telegram, which is not the case with Viber or WhatsApp. – Encrypting certain conversations: Telegram offers their users to make any conversation private, which is especially valuable for business communications. So, you can use Telegram to send messages, share content and even launch promotional advertising campaigns. And you can do all that feeling totally secure, as the messenger has a 100% protection from hacker attacks. Yes, it seems like Telegram is a perfect choice for you. But growing a community on Telegram takes some time, effort and the knowledge, how to engage your customers. Especially if you own a small business and have to do a lot of promotional tasks on your own, you might need some advice on how to engage your Telegram followers and attract new ones. Our experts at SeedX have prepared a few tips for those who want to conquer Telegram and increase their Telegram following. But before we start, let’s figure out how to create a channel on Telegram, through which you’ll be able to advertise and communicate. Open Telegram on your phone or tablet and go to the Menu (three lines in the top right corner). Choose “Create a channel” and you’ll be redirected to the next page. Next, you’ll need to enter the name of your channel. Use only your business name if you want to increase brand awareness. You can also write a description for your channel. Remember to keep it short, as the number of characters is limited. Telegram offer their users to create either public or private channels. Public channels are easily accessible, can be found in search and everyone can join them. As for the private channels, they are only visible to those who have a specific invite link. We’ve chosen our channel to be public as we want everyone to have an access to the information we will share. You can also create a customized link, which people will share with others to help them find your channel through Telegram search. Before you save the changes, you can also add new members to your channel. As Telegram has an access to your contacts, it will show you other Telegram users who can join your channel. After you’ve added everybody, you can save the changes and your channel is ready to use. Telegram channels are an ideal way for businesses to communicate with their customers. It’s a great platform for microblogging and sharing news with your subscribers. Unlike Telegram groups, which are created specifically for personal purposes like communication with family and friends, channels allow having an unlimited number of subscribers, which is a perfect quality for businesses. Now let’s talk about how to grow your following on Telegram. While Telegram channels allow an unlimited number of followers, this means that you need to work on your content to make your channel more engaging. Let’s take a look at the few tips we’ve prepared for you. These are all organic ways of driving your traffic and engaging your followers. Most of the companies choose to use Telegram to build brand awareness. When we talked about how to market your business on Instagram, we mention the importance of using your logo as a profile image. It works the same way for Telegram. Among millions of other channels and groups, your channel needs to be recognized. So, for you channel picture use only the logo of your company to help your customers identify you. As there might be thousands of channels with a similar name, the logo will definitely get the job done and help you stand out. A logo is one way to describe your channel. Using a channel description is optional, but we highly recommend using it. By using a description, you’ll let your potential followers know that it’s your original Telegram channel and they are welcome to join. Choosing the right topic of conversation is a great organic way to increase the number of your Telegram followers. If you also want to promote your business, you need to pay more attention to the goal you’re pursuing as an entrepreneur. All your conversations on a channel should be related to your business. Special offers, discounts, updates on your products or services – all these are the relevant topics for a discussion. You can also ask business-related questions that will also help you improve some features of your products. It would be also great to ask your followers for advice. After all, they use your products/services on a daily basis and might have some ideas on how to improve them. Telegram gives everyone access to their open source API (application programming interface). It means that you can use their interface to create a Telegram-like messenger on your platform. 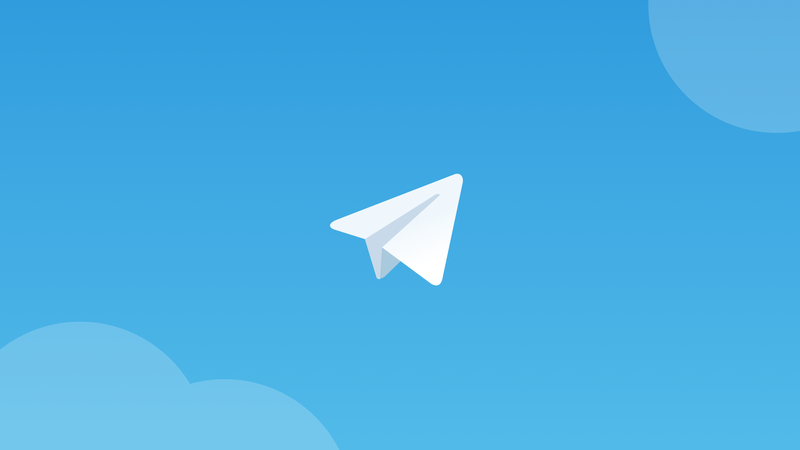 Creating your own Telegram application is easy, and the user support team provides you with all necessary information on how to do that. Why do you need to use it? It will help you create your own customized place to communicate with your followers, to adjust it to the needs and characteristics of your business, which will definitely drive follower engagement and contribute to the positive customer journey. Having a channel on Telegram is a great way to connect with your followers and build your community. It’s free and you won’t have to compete with your rivals. But don’t get too excited: if you spam your followers with too many advertisements, you’ll lose most of them pretty quickly. Keep it casual and organic, and your Telegram success is guaranteed.